Last night we went to see Paranorman. Admittedly I hadn’t read or seen all that much about it before heading in (which is unusual but it happens) so while I was prepared for a Coraline-like experience I was pleasantly surprised, although not along the lines I thought I would be. Paranorman is at the end of the day, a simple film. There isn’t anything super complex or layered that will confuse the kids. It’s reminiscent of the old-school storytelling that existed before Pixar. That is to say, there are little detours from the goal that is made explicit early on. There’s nothing particularly wrong with that per se, but it does mean the audience doesn’t have to think for themselves; a feat that helps connect them to the film. The jokes come fairly thick and fast throughout the film with a strong emphasis on the physical side. Plenty of laughs were had from both the young and old in our screening at various points although it was disappointing that the writers decided to go more for the low-brow end. It’s a tad disappointing because what bones they did throw to the adults were not near as subtle and therefore as clever as something Pixar or even DreamWorks is capable of putting out. (Let’s just say the “Witchy Wiener” sign has a missing ‘W’ and that it’s downhill from there.) That’s all well and good but I couldn’t shake the feeling that someone felt it was necessary to make up for something else. The film is also fairly heavy on the rhetoric both political and cultural which was something I was not expecting. Points about ‘fitting in’, ‘being accepted’ and ‘facing your fears’ were all rather blatant and in-your-face. Again, this ran the risk of detracting from the story and probably would if you were more inclined towards that kind of thing. It all got plenty of laughs of course, but it added little to the film or the characters and in hindsight feels a bit unnecessary. What can I say, the animation is stunning. Laika have taken stop-motion to new heights with Paranorman, The sets are wonderful; large, lush and vibrant with a quirky, goolish theme. The Massachusetts setting could not have been replicated better. A nod should also go some of the posters in Norman’s room the hilarious retro horror flick titles and opening scene. Characters move with sublime smoothness. It’s a wonder that stop-motion can create such movements that are on par with CGI if not better. No doubt it is helped by the 3-D printers and a bit of CGI FX along the way, but at its core, it’s a testament to the skills of the animators. While the film did have some CGI, it was only complimentary and for stuff that would be very difficult to do in stop-motion anyway. Is it getting too close to CGI? I don’t think so but Paranorman doesn’t make the lines any clearer at the same time. Overall, I was disappointed by the characters. They were all a bit flat save for Norman. Some stereotypes were naturally employed, but at the same time, it would have been nice to see a bit more depth to the likes of Mitch or Courtney instead of having them fill stock roles (or in the case of the latter) embody tropes like this, this and this. Norman is great character with a lot of weirdness to him that makes him a great character to watch but leaves him as the odd one out amongst his friends and neighbours in more ways than one. It isolates him and it feels that those around him are brought into his fold by force. 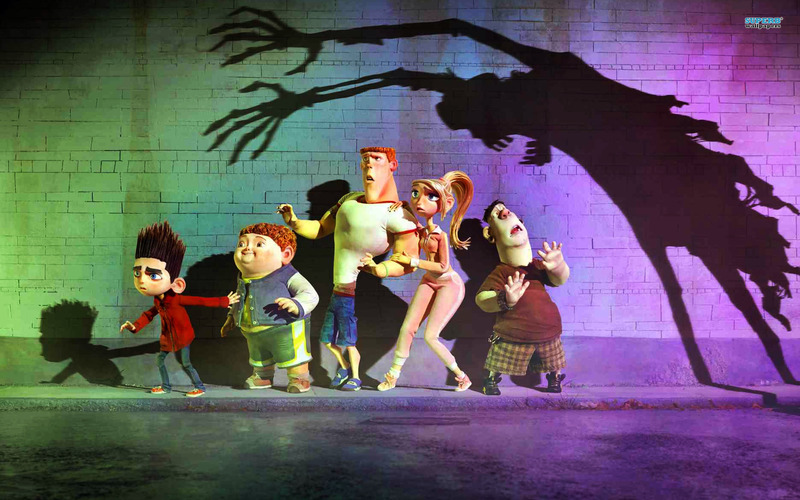 If anything Paranorman’s characters are devoid of the backstories that they really need. We get a hint of one with Uncle Prendergast but everyone else is just, there, existing without much rhyme or reason given. If there is a major failing in Paranorman this is it. The emotive reasons to like the characters beyond Norman barely exist (and in the case of the townspeople, downright don’t exist). As a result, the characters are a bit flimsy and are unlikely to provide inspiration beyond the film. Overall, Paranorman is a very enjoyable film that will keep you entertained for the hour and half but will not leave any lasting impression outside of the animation, which is gobsmackingly stunning. I am impressed with your creativity. I always facinates with courses related animation. I Want to make a bright future in this field. So can you please suggest me some good institutes where i can under go training or guidance so that i can excell in this field.